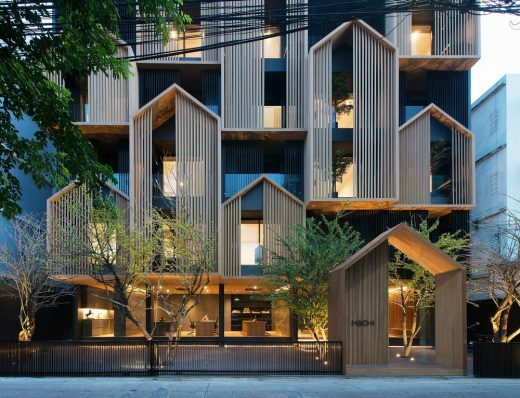 photograph © Gaysorn Property Co., Ltd.
A mixed-use development that aims to create a new approach to commercial design through careful planning and curation of Lifestyle, Work, Play and Grow in a holistic environment. This is a modern serviced apartment for monthly rental, located in business areas of Ladprao, Bangkok. The property surrounded by very crowded urban housing, office buildings and conventional apartments. This serviced apartment composes of luxury rental 34-unit rooms with an area of 26-44 sqm. 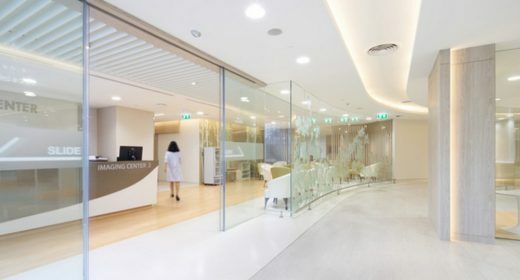 per room, a serviced office and multipurpose room. Thus the building will be around five storeys high. 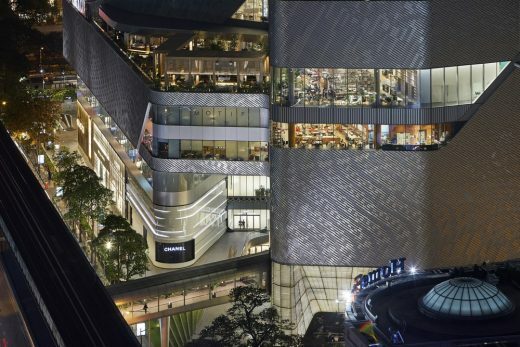 The architecture practice headed by RIBA Stirling Prize-winning architect Amanda Levete, has completed Central Embassy, a striking 37 floor tall retail, leisure and hotel tower in central Bangkok for Central Group, Thailand’s leading retailer and department store operator. 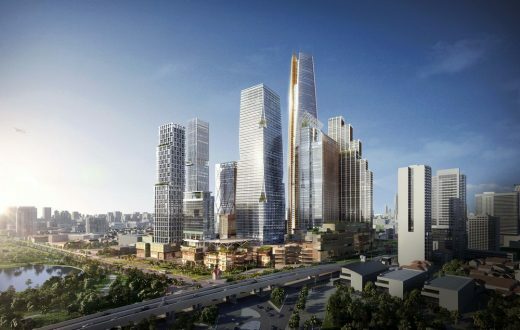 TCC Assets (Thailand) Company Limited and Frasers Centrepoint Limited (FCL) have unveiled plans for One Bangkok, a new 16-hectare mixed-use development in the heart of Bangkok. 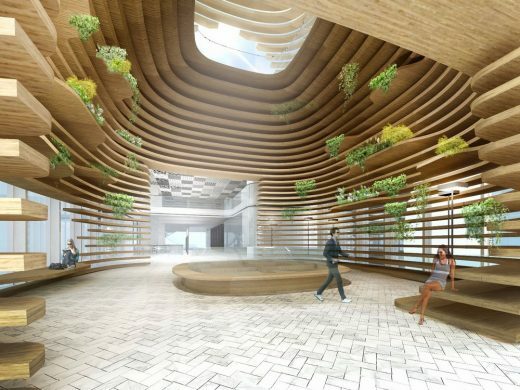 Skidmore, Owings & Merrill (Thailand) Limited (SOM) is working with a team of local and international architecture and landscape architecture firms to complete the vision for One Bangkok—the largest private-sector development in Thailand to date. With over 10 million inhabitants, Bangkok continues to grow into its urban form. Architectkidd’s approach for The Street Ratchada project attempts to introduce public and urban characteristics into a newly developing neighborhood outside of the central metropolitan area. 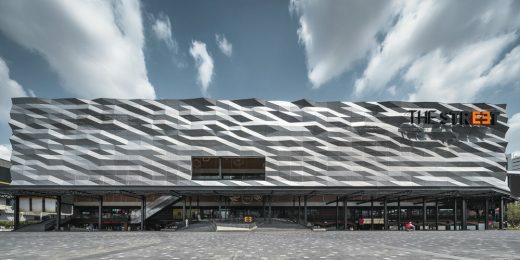 The latest Fred Perry store, in the new retail development EmQuartier in Bangkok: a contemporary and elegant boutique, designed to fit in with the selection of international luxury brands selected by the mall. 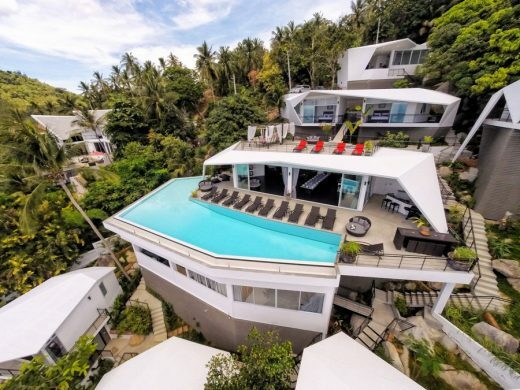 The Suan Kachamudee project is an unique and cosy “boutique” resort located on the East Coast of Koh Samui Island in Chaweng Noi, Thailand.